We train athletes to be the best they can be on the field. On the field or in competition, this means scoring more, hitting harder, improved separation, throwing harder, quicker recovery, better foot speed, improved vertical leap, and outlasting opponents. Our instructors are world class and second to none. We have experience training thousands of athletes in the fundamentals of weight training and conditioning as well as years of experience in program development for individual athletes as well as groups and teams. This experience allows us to minimize the risk of injury and maximize results for our clients. Doug found CrossFit in 2008 while training at his local community center, home at the time to CrossFit Park City. Shortly after visiting a newly constructed gym space, meeting the community, and getting a chance to experience CrossFit first hand, he was hooked. In June 2009, he attended the Level One Trainer course and began the pursuit of coaching. 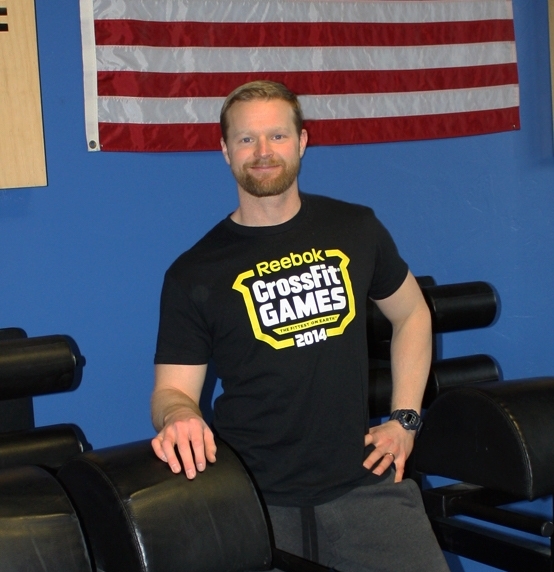 He has been training and coaching at CrossFit Park City since then, and continues the pursuit of fitness for himself and his clients. In 2014 Doug founded MOVE, with the goal of bringing improved performance on the field through improved performance in the gym using CrossFit as well as traditional strength and conditioning protocols. In 2013, Doug completed the rigorous process of becoming a member of the CrossFit Headquarters HQ Seminar Staff. After being selected and completing an internship process, he now travels throughout the world helping educate people in CrossFit’s methodologies during CrossFit Level One and Level Two courses. Doug has also worked as an Administrator at a boarding school in Oakley, UT. This experience allows Doug to blend teaching styles, group facilitation skills, and coaching style of employees and students, with his approach to athletes at MOVE. Doug lives in Park City, UT with his wife Siri and dog Oliver. When not training or coaching, he enjoys being outside, biking, and skiing. Kenzie graduated from the University of Utah with her Master’s in Exercise and Sport Science with an emphasis in wellness coaching. With a passion for health and fitness Kenzie has found outlets in multiple avenues. She has worked at physical therapy practices, helped develop and run bootcamps, and received her CrossFit Level 1 Certificate as well as her Coaches Prep Course Certificate. Along with running Adult classes Kenzie also coaches with Eric in the Teens & Kids program. Outside of class, she manages the retail department and organizes the newsletter and monthly events for CrossFit Park City to keep the community running strong. Kenzie spends part time at Montage Deer Valley and assists clients on a daily basis with meeting their health and fitness goals. M.S., ACSM HFS, CF L 1, CF Kids. We provide training with focus on developing these characteristics so you can be better on the field. We achieve results through a blending of traditional strength and conditioning, endurance, powerlifting, Olympic style weightlifting, and CrossFit protocols and employ lifts and techniques from these areas to meet your specific needs. We cater to teams, active groups, and individuals who are interested in improved athletic performance. Our wide knowledge and experience allows us to address a wide variety of needs. Our group and team classes promote team building and improved strength and conditioning in a fun environment where safety and proper instruction are paramount. Our group programs are perfect for teams interested in increased performance applicable to sport. Lacrosse, football, soccer, basketball, hockey, baseball, swimming, volleyball, wrestling, snow sports, and endurance athletes all benefit from increased strength, conditioning, power, and speed.